If you forget your password while working with Windows 8.1, a password reset disk could save your day by enabling you to reset Windows 8.1 password and have access to Windows computer or laptop. 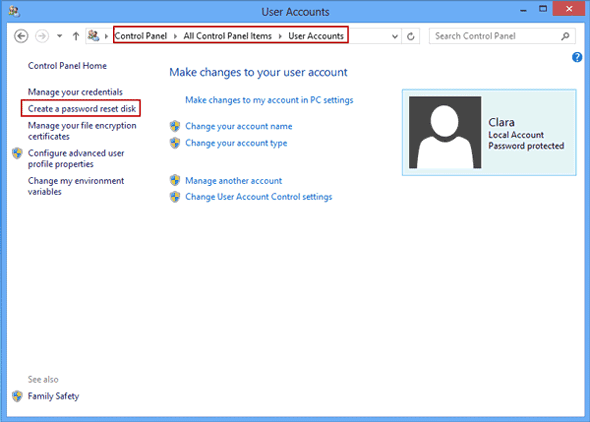 You can follow the steps below to create a Windows 8.1 password reset disk provided that you've already got a Windows local user account protected by password. Microsoft allows you to create a password reset disk in Windows 8.1, and you need to log into your Windows 8.1 computer and prepare a blank CD or USB flash drive beforehand. 1. On the desktop, head to the Control Panel by tapping and holding (or right-clicking) the Start screen and choosing Control Panel. Click the User Accounts and Family Safety link and then the User Accounts link. 2. Windows will show you the User Accounts dialog box. On the left, click the link that says Create a Password Reset Disk. Note: If you can't see a line on the left that says "Create a Password Reset Disk", this is because you don't have a Local account or your account is not password-protected. 3. 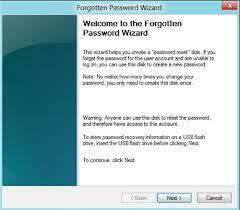 This step launches the Forgotten Password Wizard, which creates a Password Reset Disk. Follow the Wizard and proceed by clicking "Next". At the final step, click Finish. When all is done, store the userkey.psw file someplace safe. If you ever forget your password, or if someone else changes it for you, you can take out this disk and use it to reset Windows password. The password reset disk Microsoft helps you create must be created when you still have access to Windows computer. But once you forget your Windows 8.1 login password, you will have to use a tool like Windows Password Recovery to make a password reset disk in Windows 8.1. 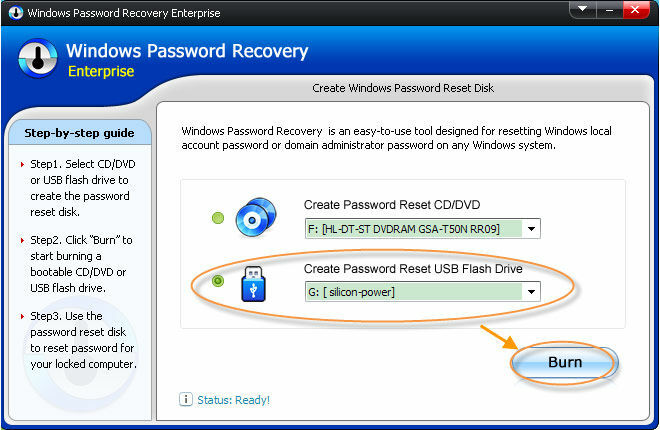 Or you can use a USB flash drive instead of the disk and create a windows 8.1 password reset USB. This password reset disk could help you access the password-locked Windows computer. 1. 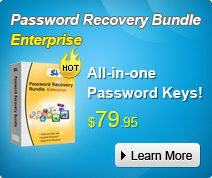 Download and install Windows Password Recovery Tool on any computer that you have access to. Prepare a blank CD/DVD or USB flash drive which you need to use in the next step. 2. Open this program and choose a device to burn the Windows 8.1 password reset disk to. You can choose CD/DVD or USB flash drive. 3. When all is set, click "Burn". In a few seconds, the disk will be created successfully. You can use it to reset Windows password or create a new account to log into your Windows 8.1 PC. As for now you must be crystal clear about how to create a Windows 8.1 password reset disk, if you're looking for more information, just go to Windows Tips.